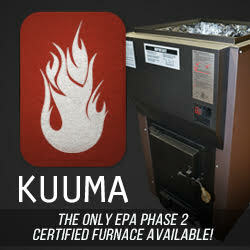 Cleaned conditioned premium heating corn is used in appliances very similar to wood pellet stoves. Corn is a little different in its combustion properties and does require stoves and furnaces designed to burn corn or that are multifuel capable. Most corn stoves have the ability to burn a greater variety of biofuels including wood Pellets giving consumers greater choice in fuel selection based upon their particular geographic region. Corn stoves have been more popular in the Great Plains and Midwest but are now growing in the Northeast and West because of the readily available supply of corn. Many stove Manufacturers introduced new multifuel stoves in 2007 to increase available fuels options beyond just wood Pellets with corn being the next most abundant and widely available fuel source across the country. This was a direct response to wood pellet shortages that have been problematic for those stove Manufacturers who only offered wood pellet stoves and saw corn burning stoves and appliances held a market advantage by burning a wider variety of solid biofuels. Each consumer should be cautioned to check and follow their appliance dealer or manufacturer's directions before trying to burn corn. It can cause some problems, damage, and void warranties if not approved for use by the manufacturer of the appliance because of unique combustion properties. For many years raw field corn meeting the USDA Grade # 2 Yellow Dent Corn standard was the most readily fuel available for corn stoves and furnaces directly from farms or elevators. However, the USDA Grade # 2 Yellow Dent Corn standard does not specify a Moisture Content and allows a Foreign Material and Fines content up to 3% by total weight. While a Moisture Content of about 14-15% is the commercial standard allowed without farmers being docked on their sales price when corn is sold, corn can and does run higher Moisture Content coming out of the field. Weather conditions during harvest season can have a major influence on the Moisture Content and cleanness of corn. This past harvest season was delayed because of frequent and substantial rains that increased Moisture Content and negatively affected critical qualities of corn for it to be used as a heating fuel. Farmers will not typically dry corn down below a commercial standard of 14-15% moisture because of added cost and lost revenue potential. While some appliance Manufacturers suggest customers will experience better performance using corn with a Moisture Content of 11-12%, most allow for higher Moisture Content up to 14-15% to be used because of the commercial standard allowed by traditional corn markets. Some Manufacturers even advertise their appliances' ability to burn high Moisture Content corn but do not help customers understand the loss of effective heat value in the fuels. It is estimated that for every 1% of Moisture Content in corn the consumer loses approximately 90 BTU/LB of effective heat value. While this may not seem very significant, a 5% moisture variation in a 50-LB bag of corn can mean a loss of about 22,500 BTU of effective heat to a customer. The challenge with premium heating corn is to take raw field corn, consistently clean and dry it down to optimize is value as a heating fuel, then package and distribute it at a competitive value to wood Pellets. Raw shelled field corn will always be available at the lowest price but will come with higher Moisture Content, more foreign material and fines, and greater variation requiring customers to spend more time handling, cleaning, and adjusting appliances because of fuel quality. Wood Pellets and other pelletized fuels require significant capital investment to transform raw materials into useful pelletized fuel. Corn on the other hand is a naturally densified fuel choice with a competitive heat value to wood Pellets requiring only cleaning and conditioning to optimize its value as a heating fuel. While wood pellet mills represent substantial capital investment and are very dependent upon a consistent, readily available supply of wood wastes and sawdust to be economically viable, corn is readily available and can be processed economically by existing facilities to optimize its value as a heating fuel. Construction of new wood pellet mills have a tendency to lag market demand, while corn processing facilities can typically be setup fairly quickly upon identification of market need and a clear standard for what makes corn more fit for use as a heating fuel. Committed suppliers who specialize in supplying cleaned and conditioned premium heating corn especially for this purpose will be regularly testing corn for its BTU Content, Moisture Content, and Foreign Materials and Fines (Stalk, Cob, Fines, etc.) to meet a higher standard than normally required for raw field corn or shelled corn sold for feed and will minimize contamination with salts and other feed residue typical found in shelled corn ran through feed mills.